I’m not kidding. 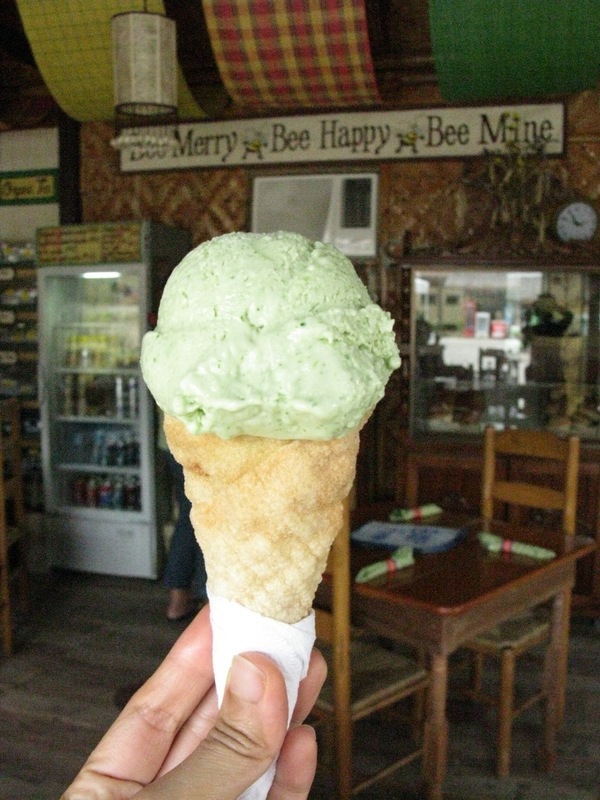 Bohol has the best ice cream. Better than all those expensive, imported, ritzy glitzy ice creams touted around in Manila. You’ll find it at The Buzz Cafe (bee farm products, I think, hence the name). Php25 per scoop, Php40 for a two-scoop cone. Original, homey flavors, like lemongrass, pandan, malunggay (such as the one in the picture), as well as the usual mango, avocado, chocolate, and others. Best of all, homemade cassava cone. Divine!